We were on holiday in Cornwall, staying in a cottage with a balcony overlooking the sea, in the sleepy but increasing chic village of Portscatho. About two miles offshore and around the coast is a tiny uninhabited island known as Gull Rock, to which there is an annual swimming race. 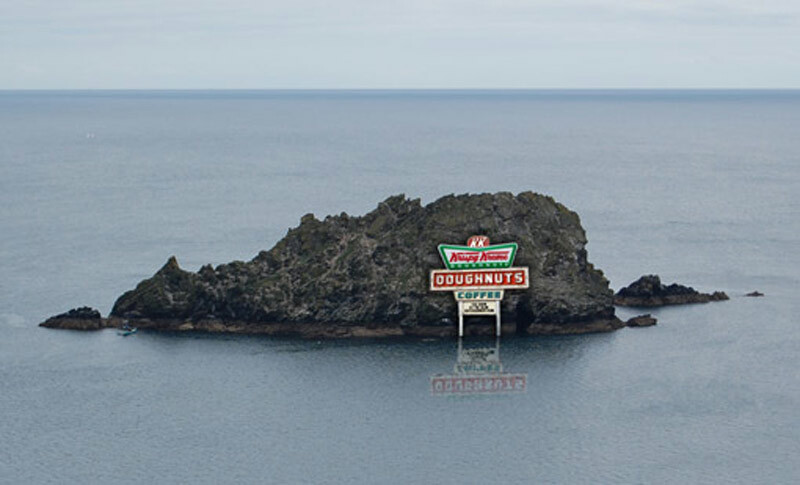 Our neighbour Chris had recently acquired an inflatable RIB, and one morning on returning from a jaunt testing it out around the bay, he told his son Adam that he had noticed that on the far side of Gull Rock he had noticed there was a Krispy Kreme doughnut concession. 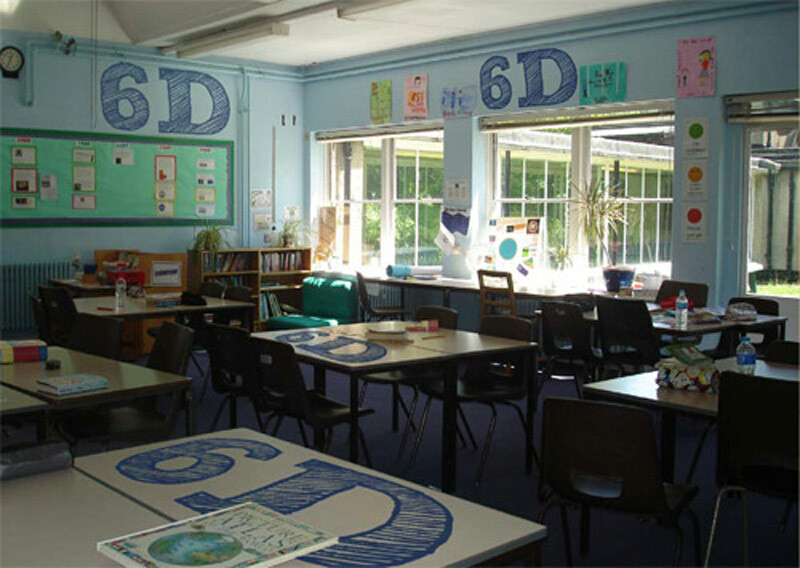 Adam (8) was a little sceptical, so I Photoshopped this image and uploaded it to Facebook, to try and convince him. A couple of days later, Chris had to go to a meeting in London so, while there, he purchased a big box of Krispy Kreme doughnuts and brought them back with him. He then kept them concealed overnight, put them in the RIB and took a trip out around Gull Rock. On the way back he splashed water on the box for added authenticity and arrived back on the beach where he triumphantly presented the box to Adam.